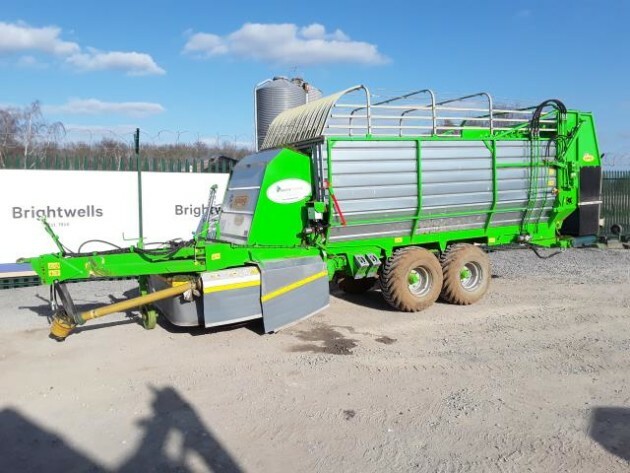 DUE TO HIGH DEMAND FOR SECOND HAND EQUIPMENT URGENTLY WANTED GOOD SECOND HAND, IN & OUT OF SEASON EQUIPMENT & MACHINERY FOR HOME & EXPORT SALES. Latest Selection & Pictures of New & Second Hand Machinery in stock. Ring for details & prices. WANTED - Conventional Hay Balers. MF 124,128. New Holland 370, 376. John Deere 342, International 430,435,440. John Deere 6930 4WD Tractor (2008) 6889 Hours. Air Con, 40k. Manitou MLT 627 Turbo Telescopic Handler (2007) 4737 Hours. Lely Hibiscus 805 CD, Twin Rotor Rake. Very Tidy. Renault Celtis 456 RX (2003) 4WD Tractor 3426 Hrs. Shelbourne Reynolds Powermix Pro 12cyd Tub Mixer c.w Cross Conveyor. Universal 643 DT. 4 WD Tractor. P Reg. 4573 Hours. Good Condition. Also Wanted Universal Tractors for export. Portequip 18ft Cattle Trailer c.w Slam Door. New Jarmet Galvenised Heavy Harrows. KRM DZ & EX Models. 2 & 3 Bags, Fert Spinners. Grays 12 Tine Push Off Buckrake. Good Condition. Kuhn EL201-400, 4 Meter, Straight Blade Rotavator. More Albutt Telehandler Buckets with Brackets in Stock. Vicon Rotaflow RS - C Twin Disc Fertilizer Spinner. BCS Kilworth 7ft Front Mower c.w Side Shift. New RTC Galvenised 6 & 8ft Slurry Pumps. More Protech Post Knockers just come in. Hannex H15B Plus 2 Mini Digger (2011) c.w Full cab & 3 Buckets. Zetor 6245. 4WD Tractor. F Reg. Tidy Tractor for age. Richard Weston SDS24 Duel Spreader. As new. McHale 991C In Line Trailed Wrapper. Elec Controls. KRM Extrend, 3 Bag Fertilizer Spinner with Cover. 4 Meter Trailed Disc Harrow, Hyd Fold, Very Good Condition. Kuhn Primor 3570M Trailed Straw Chopper. Electric Control, Swivel Shoot. McConnell PA5000 T Left hand Hedge Cutter with John Deere Bracket. Twose 400 Hedge Cutter. Cable Control on 3 point. McConnell PA6000, Left hand Hedge Cutter, c.w Elec Controls. McConnell PA560. L H Hedge Cutter c.w Electric Control. McConnell PA50 High Reach Left hand Hedge Cutter on 3 point. McConnell PA34 Hedge Cutter on 3 point. KRM L2 Plus 2000kg Twin Disc Fert Spinner. c.w Hyd Control & Lights. Major 490 Eagle Wing Trailed Topper. TeagleTomahawk 5050 Silage & Straw Chopper on 3 point. Browns Swath Wilter c.w Swivel Wheels. Very Tidy. AG Big D Trailed Double Sided Sawdust Dispenser. 2 Ton. Browns 2 Leg Sub Soiler c.w Depth Wheels. Good Condition. Reko Machio 3 Meter Power Harrow.c.w Crumbler. Reco Jeulin J5100 Trailed Self Loading Feeder Wagon. Will Spread Pit Silage, Round & Square Bales of Silage & Straw. (2012) Electric Controls. Very Good Condition. Can be seen working. Strimech Shear Grab. c.w JCB Brackets. KRM L Plus Fert Spinner. Hyd Control. Teagle Superted 160 Model. Good Condition. Detrum RTX 8ft, Pto Driven Brush on 3 point. Road Master RM2306, 2.3 meter Flail Topper. c.w Side Shift. NC 8ft Slurry Pump. Pto Driven on 3 point. c.w Pto Shaft. Chillton Auger Bucket with Guillotine Door. PZ Haybobs. Choice of 2. 8ft Mounted Disc Harrow. Good Condition. Graham Edwards DM12 ft Tri Axle, Livestock Trailer c.w Wind away Decks. Ifor Williams DP12ft, Twin Axle Livestock Trailer, c.w Easyload Decks. Ifor Williams DP12ft Tri Axle Livestock Trailer.c.w Easy Load Decks.